This 2015 I want to be Productive! I want to get things done on time. To be able to have proper time management and to achieve a better work life balance. Over the past years I find it very hard to work on my goals, my schedules and my daily to-do’s. It’s as if I know I have a lot to do but instead of doing the most important, I stumble and spend more time on social medias. Then I will feel guilty and sorry for not being productive. Thankfully a lot of blogs that I read have truly made me become better in handling my time and my life. I can’t stress how thankful I am for each tips that i get and I want to share them to your guys with my own experience, how I use them and the impact it brought in my life. A. Devotions- I just have to have time for God in a day. I need to journal and to have my Bible reading as part of my commitment for a stronger relationship with Him. B. Preparing for Work- Of course I spend time in the shower, picking what I would wear, brushing my teeth as well as putting makeup on so I have to include these in my Time Categories. C. Work. I spend 10 long hours at work in the office plus about 3 hours of travel time back and forth. For those who might not know I am a Marketing Assistant/Technical Writer in Makati. D. Family. I make time for my family especially for my parents. I see to it to catch up with them everyday. Even short talks with them will do. E. Special Projects. This blog along with my frugal and lifestyle blog, IzzaGlino are part of my personal projects. I also have my Yourube channel that I make a lot of effort time and update. F. Business Projects. I am working very hard to create an additional income in life just like how I actively host events and portfolio investments. I also created two niche website ( which I will announce as soon as I launched them) in a futuristic goal of monetizing them. Thanks be to God for all the talent He blessed me with. G. Personal Stuffs. I don’t forget to treat myself once in awhile so if I want to take a short but meaningful break, I do. This 2015 I plan to travel alone and just embark on a journey of experiencing more of the world so this goal will surely eat a big chunk of my time. 2. Now that you listed your Time Categories you can now create your Goals. My tip is to create a yearly goal, a monthly goal, a weekly goal and a daily goal. The yearly goal will be broader as usual with items from personal goals, financial goals, career goals and so on. Now be more and more specific as go along with your goals. The thing about having life goals is that you have a better motivation in life and you’ll be sure to be inspired to take action more. 3. Cut off the Major Time-Wasters. This is one thing that I am continuously struggling with but then again I hope that I can excel this new year. Social media is top of my list but you may include as major time-waster is gossiping. Keep busy and always set your priorities. 4. Start Creating a To-Do List. I have an in-depth post on how to create a perfect to do list that you can read HERE. 5. Follow a Daily Schedule/Routine. You are never to young or too old to start a new routine and habit. Just be sure to be committed. Waking up on a same time every day is very great start to be productive. You batch similar tasks and do it on the same time too. I, for example, do a massive content writing every Saturday. I also spend one hour every Sunday to keep my planner updated and also the blog ideas that I have in mind. 6. Get some help with mobile apps. Before 2014 ended I shared some financial apps that will help about your finances. I plan to share too some productivity apps that should be called as major app life hackers for they save you time and energy letting you do more in life. Apps are such a great deal especially for busy people for they ensure productivity and are truly helpful. 7. Have a Planner! Before this month ends I will share to you my 2015 Planner and I am very much excited to do so! I love planners for I personally believe that once you write down something, you ars more likely to do or to achieve it. My mind is very cluttered and I tend to over think or over plan sometimes and keeping a planner for about 5years now have let take things slowly and more focused in life. – Be Intentional. In whatever you do you have to be intentional. You have to keep in your heart the benefits that it could bring you so you can follow with the hardships that it may take achieve it. -Pray. It says in Mark 9, Whenever You Pray…. Ask God for His blessings. Ask Him to give you strength to hold on in the new task that you will put in your shoulder. Becoming productive is a hard habit to make and you might need a lot of motivations. Who else should you cry to than our greatest Creator?! -Take it slowly. 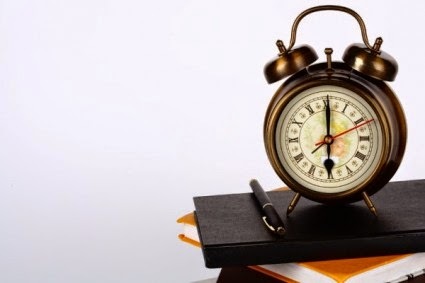 As mentioned earlier, becoming productive is tough to do because time is such a powerful element. Make sure that you take things nice and slow. Don’t feel too much pressured and just enjoy the journey towards a better 2015. Being productive is not just about getting things done. Once you become productive you are learning to align each and every areas of your life to a total balance. You become effective and you feel great from the inside for you have so much time left other than before when things get too cluttered and all you want to is procrastinate. Living a productive life will make you serve God more. Do you want to be productive too?! Did this post helped you start a productive life this 2015?! Don’t forget to comment and share your thoughts below!